Famous for its golden beaches and wild summer music festival, Benicàssim on Spain’s Costa de Azahar is a dream summer vacation spot. It has plenty of great restaurants to choose from, many with a focus on local market produce and fresh seafood. Here are 10 of the best restaurants to visit on your trip. Ciento 2 is a welcoming local restaurant that is much loved for its innovative cuisine and attention to detail. From zucchini flowers stuffed with prawns to simple patatas bravas, everything is done with flair. Local favourites like paella and fideua are on the menu, perfectly paired with local wines and cava. The service is friendly and the ambience is ideal for groups of friends or families. When you’re looking for a simple lunch but don’t want to compromise on quality, head for this popular bocateria (sandwich bar). Choose from a varied menu of fresh filled baguettes and local craft beers, not forgetting the mighty portions of patatas bravas, and enjoy it all on their large summer terrace. 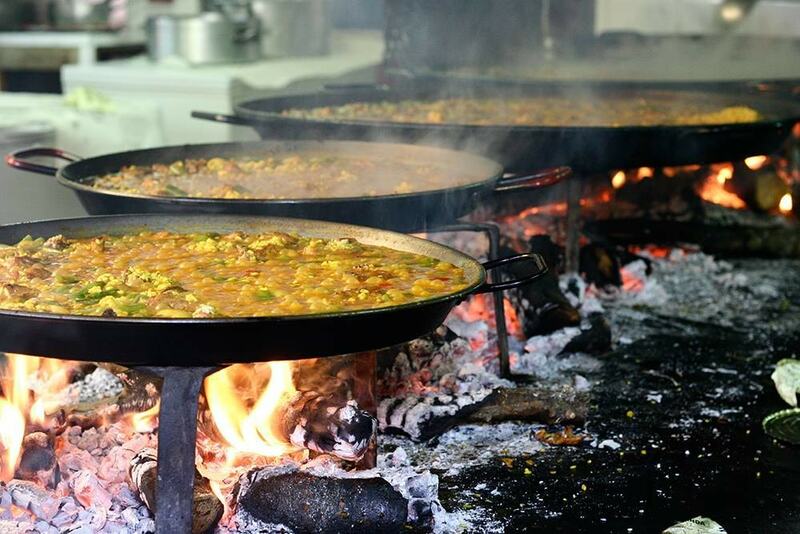 Valencian paella cooking over a wood fire. Set across three traditional Valencian barracas, or old country houses, this restaurant has been serving up traditional paella and all kinds of other local rice dishes since 1970, and is still going strong. It’s a big, busy place that gets loud, but it’s a good choice for groups of friends or family gatherings. Save room for the homemade desserts. Probably the most popular pizzeria in town, La Manduca serves up huge, tasty pizzas that are good value for money. They also have a small menu of other dishes, including fresh seafood, and a great wine list. Their dining room is usually full to bursting, yet service is always fast and attentive. One of the most popular paella spots in town, La Pimienta Rosa is only open for lunch, as that’s when the dish is traditionally eaten. Their affordable set menu includes two tapas dishes to enjoy before your paella arrives, and the paella is freshly made for you and served in the pan, unlike at many other places, where paella on the lunch menu is served by the plate from a large batch. Fast, friendly service and a good wine menu complete the experience. Make sure to book ahead. This highly rated seafront restaurant serves up classic Spanish cuisine with plenty of character and a modern twist. Sit out on their large outdoor terrace and take your pick from tapas dishes like oxtail croquettes, cod fritters or even fresh gazpacho before enjoying a classic Valencian paella. If you don’t fancy rice, they also have high-quality meat dishes on the menu. It’s popular for special occasions and does get busy, so make sure to book. If you fancy a detour from endless tapas and paella, try this excellent Japanese restaurant, where the dishes are made with the same fresh seafood and high-quality seasonal produce. 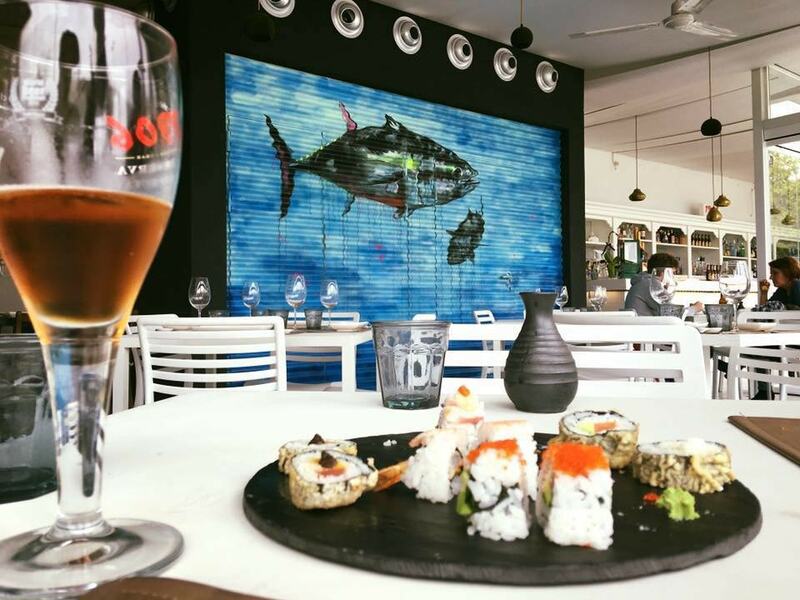 The menu includes starters like tartare and gyoza, and every variety of sushi, followed by grilled fish or wagyu steak accompanied by local Padrón peppers and crunchy wanton. Don’t forget to sample the cocktails. Just outside Benicàssim, local favourite La Tasca del Puerto is very much worth the short drive for its traditional yet creative Mediterranean seafood dishes right by the port. The dining room is in fact several rooms across two adjoining buildings, creating an intimate and homely atmosphere. Choose from local Valencian rice and tapas dishes and every kind of seafood imaginable. The terrace restaurant at the three-star Voramar Hotel, within a historic villa, is a popular local lunch spot. The beachfront location and laid-back atmosphere are especially good for families. There’s an affordable menu featuring everything from burgers and sandwiches to paella, and a good cocktail menu. Another great beachfront restaurant that is popular with families and open all day. With your feet practically in the sand and a spectacular view of the Mediterranean, this is the perfect restaurant to visit on a relaxing holiday. They have a varied, international menu, including English breakfasts, but you’ll also find plenty of locals here grabbing tapas and drinks in the evening.